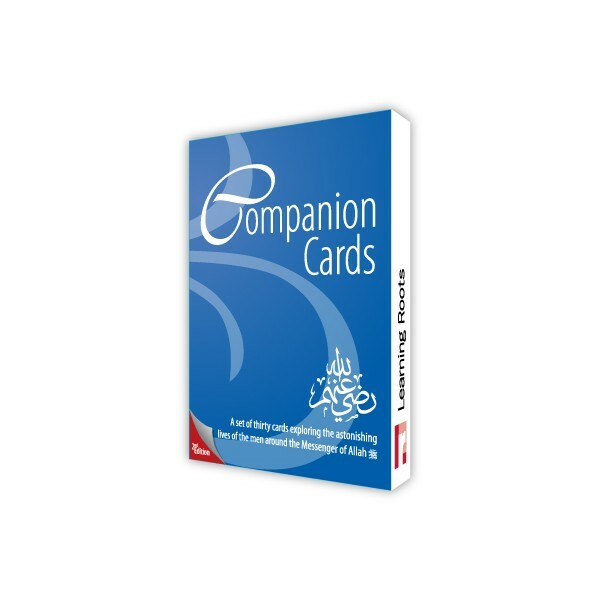 Companion Cards is a treasure chest of 30 golden glimpses into the lives of the men around the Messenger of Allah (sallalaahu 'alayhi wa sallam). 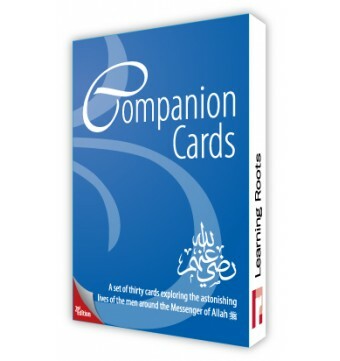 Companion Cards is a treasure chest of 30 golden glimpses into the lives of the men around the Messenger of Allah (sallalaahu 'alayhi wa sallam). The cards are beautifully designed on generously thick card with a short quote about each Companion (usually from Prophet (sallalaahu 'alayhi wa sallam)). On the reverse side is a narrative presenting a summary of the Companion's life and legacy. The set is a unique resource that can be used both by individuals and groups in a variety of learning formats to capture the highlights of the lives of the Companions. Suggested uses and content cards are included. 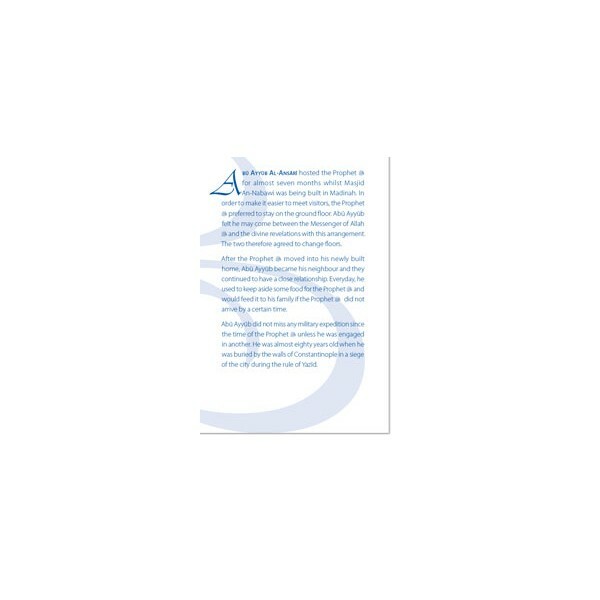 Each card has a smooth matt laminate finish on both sides and measures 8cm by 12cm.